Ms. Cordery's warning follows a meeting this week of leaders from NHS Trusts across England. It is not thought that any patients have yet been directly affected by the reported shortages - but Ms. Cordery warned that further uncertainty over Brexit could have a negative impact on the treatment of some conditions. "Trusts are getting by at the moment. Whilst we aren't seeing a direct impact on patients, if it continues in this way, obviously ultimately will have an impact." Mark Dayan, of the Nuffield Trust, think tank, said: "Stockpiling might be a plausible mechanism for price rises and therefore shortages. "It is possible to see how we could be getting a foretaste of the impact of [a no-deal Brexit] on medical supplies now." 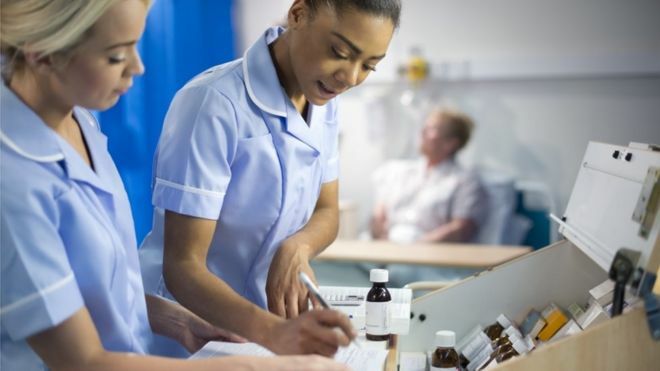 A Department of Health and Social Care official said: "We have well-established procedures to deal with any disruption to the supply chain and our plans to ensure patients can continue to receive the medicines they need, whatever the outcome of negotiations, are well advanced.